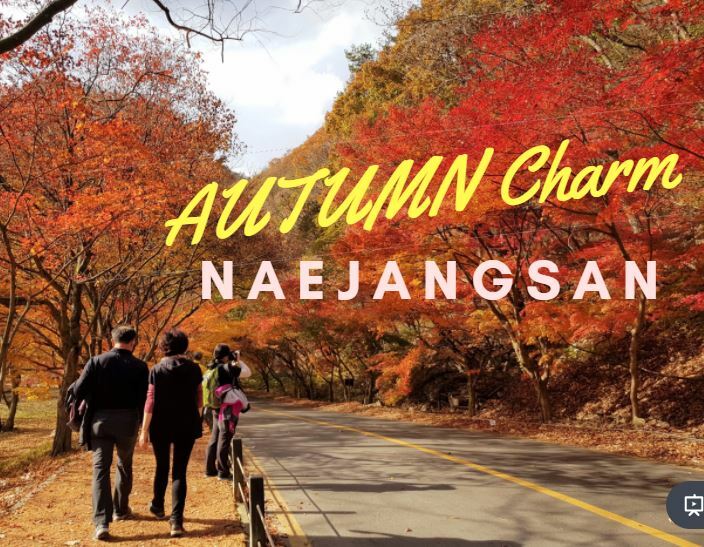 This Blog post is from GoGo Budget Travel Blog, Chloe who traveled with KoreaTravelEasy Naejangsan 1-Day Autumn Foliage Guide Tour. During autumn, the hillsides and pathways are covered in a multitude of red, orange and yellow leaves. Witness Naejangsan Autumn Charm here. It’s great to visit Naejangsan throughout the year. But because of the park’s beautiful maple leaves, autumn is its busiest time. So don’t be surprised if you see a lot of crowd at the national park. However, when we visited there in early Nov this year, there weren’t too many people. Even our tour guide was surprised! How lucky. ? 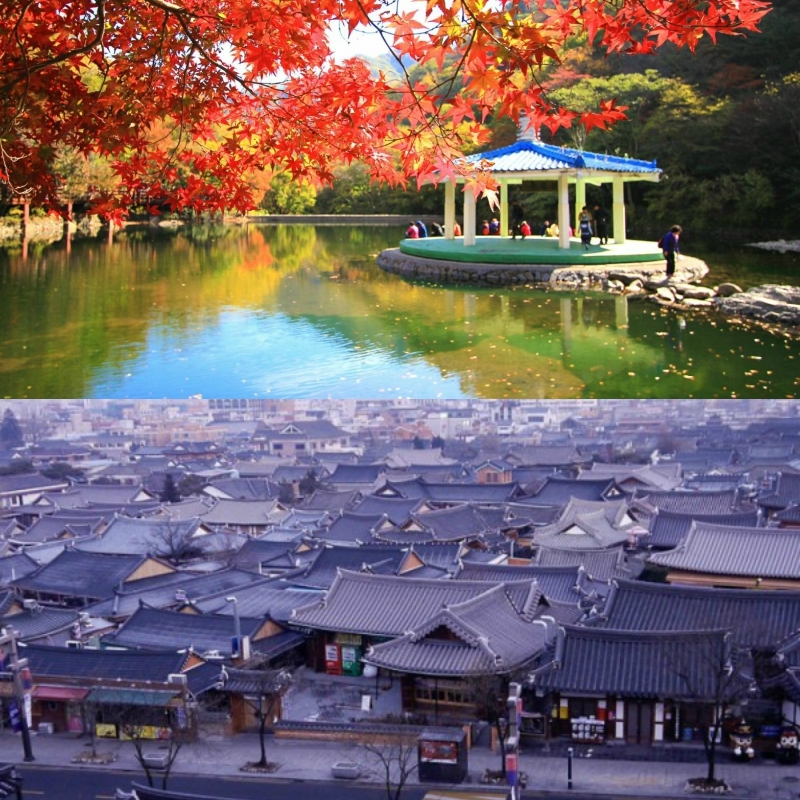 Travel to Naejangsan Mountain and Jeonju Hanok Village in a 1-Day package tour to see the Autumn maple leaves and experience Korean culture. Book your tour now. If you want your photos to be more Instagram-able, you can even rent a set of hanbok at about KRW 5,000 for that old Joseon experience. I did that when I visited Seoul Gyeongbokgung, the experience was really amazing! One food you shouldn’t miss when in Jeonju Hanok Village is its PNB choco pie! Our guide said the choco pie is really special. It’s bigger and more yummy as compared to those from the rest of Korea. I’ve never tried choco pie from elsewhere so I can’t really compare, but the ones in PNB is really good. ? We also tried another bread from PNB and it tasted equally good. You should totally get this one too as it’s very crispy! With the help of KoreaTravelEasy, we managed to visit two beautiful destinations in 1 day. The tour is perfect if you are short of time, yet want to cover more places in one day. It also saves you all the hassle transferring between trains and buses. I booked my tour online and the whole process takes only a minute. ? Another plus point about having a tour is to mingle with the guides! I learnt so much about Koran culture from our two lovely guides. They speak very good English and we got so many travel tips from them on Busan and Jeju. Now the autumn season is over, but you can find other winter trips such as ski tour on Korea Travel Easy. If you are planning to visit Korea next year, do pay Naejangsan a visit and be charmed! Apart from Neajangsan, you can also catch beautiful autumn foliage near Seoul. Nami island in autumn is really beautiful and Garden of Morning Calm is equally breathtaking. You will literally fall for them!